Specializing in Kitchen, Bathroom, and Home Improvement services. Your local home improvement specialists. We focus on providing our customers with superior customer service and quality craftsmanship. From complex projects that demand high attention to detail to small to-do lists around the house, we pride ourselves on our ability to meet and exceed your expectations. Proudly serving Erie County and most of Niagara County. With over 10 years of experience, Tier One Remodeling specializes in all aspects of residential home remodeling projects in Buffalo, NY and surrounding areas. When you hire Tire One Remodeling, you get experience, knowledge, and quality. We take pride in superior customer service and distinctive high-quality. Take a look at some of our past projects and latest work to see if we’d be the right fit for you! And we have the testimonials to back it up! Take a look at what a few past clients have to say about Tier One Remodeling. 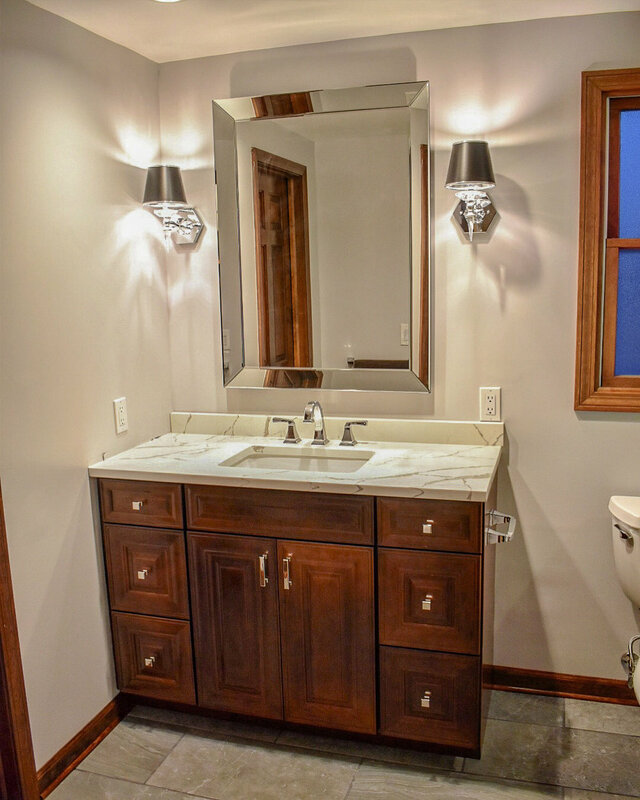 “I recently had my bathroom remodeled by Tier One Remodeling in April.